Hello and welcome to Garage Service 4 U. 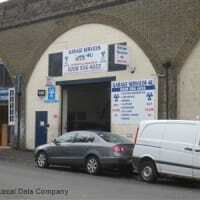 We are located on the Railway Arches in Leyton. Although we are still a young business, established in 2010, we already have an excellent reputation for providing excellent quality workmanship at fantastic prices. 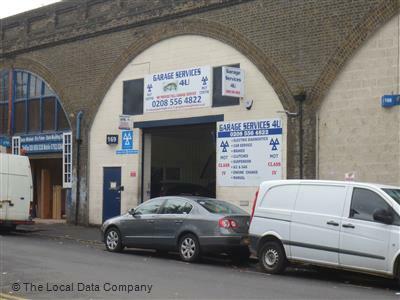 We are a registered member of The Good Garage Scheme - one of the industry's most prominent organisations. We are an MOT Centre for Class 4 cars and light commercials vans as well as providing repairs for: clutches, exhausts, brakes, electric diagnostics, suspension work, starter motors, alternators and more. We are also able to provide servicing to manufacturer's specifications on most makes and models. You can view our excellent feedback from previous Autobutler customers to see what other people think of us. Hopefully, we can look forward to meeting you soon too. A bit of waste of time as the garage only had spray anti rust and I was after full covering! All round very good, just had a bit of wait at garage. Friendly garage , definitely I will go there again and I already recommended to my friends. Reasonable prices and they know what suppose to do.